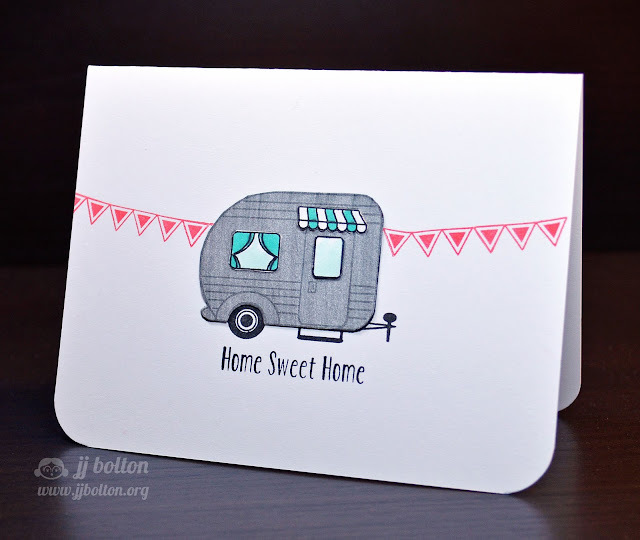 Today we have JJ with this cute card using our Home Sweet Home stamp set. I love the way she created the flagged banner using Texture Tiles: Be Cool. It is a great touch. 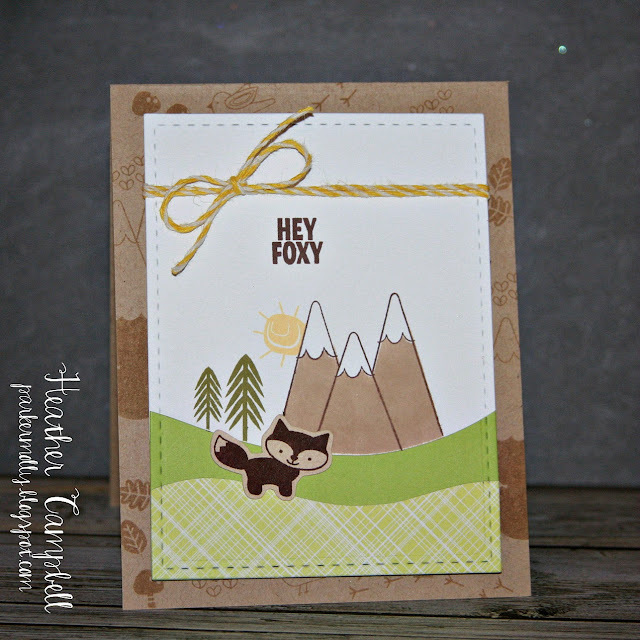 Heather created this adorable card using our Happy Camper clear stamp set. If you look closely you can see how she stamped the smaller bird tracks, leaves and mushrooms images from this set to create her own custom background pattern on the kraft card stock base. I just love extra details like this. Both cards are so FUN! JJ's banner is so charming and Heather's background is perfect with her scene!